Eighty years after the first vacuum cleaner patent, two young consulting engineers were confident they could invent a vacuum cleaner on a whole new level. With a lot of theoretical and practical experience they founded the company "Stein & Co." in Velbert in the "Bergischem Land" and developed the SEBO 350 in 1978. This innovatively designed model contained so many new patents reflecting advanced technical progress that the ambitious cleaning staff in hotels, hospitals and offices were quickly impressed and convinced that this was the best vacuum ever made. Since 1978 up to the present, SEBO vacuums are found being used on all floors throughout the world. With 4 million vacuum cleaners sold, SEBO is the global leader in commercial uprights. Our customers benefit from this know-how. The experienced partners Klaus Stein, Heinz Kaulig and Axel Bellingen begin a development project for a new kind of upright vacuum cleaner with a clutch for the brush, integrated suction hose and top-fill filter bag. 17.01.1978 Stein & Co. GmbH become registered. The trademark SEBO, short for ”SEmigewerbliche BOdenpflege” (semi-commercial floor care), is created. The production of the new upright vacuum cleaner SEBO 350 for commercial use starts. 18.07.1978 Vacuum cleaner No. 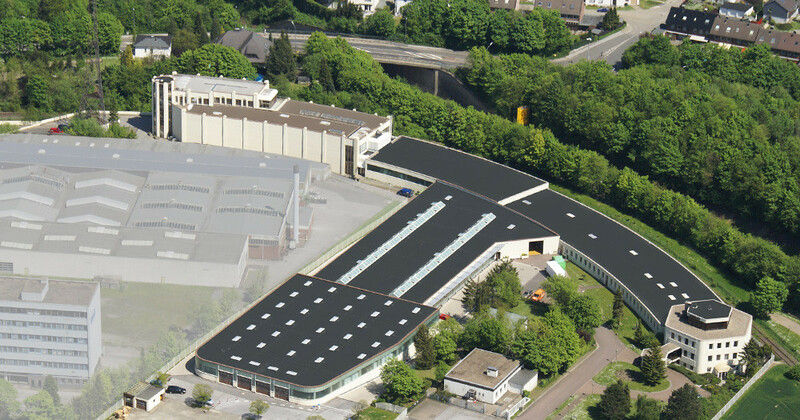 100 is produced in the first manufacturing plant, a previous weaving mill in Velbert. Distribution in Germany and Europe begins. 1979 Windsor Industries become our partner, as sales start in the U.S.
1980 The company moves to a larger location and the product range is extended. The 25,000th vacuum cleaner is built. 1981 By 1981, SEBO machines are distributed worldwide, also as Private Label products. 1983 By 1983, SEBO distribution companies have been founded in Austria, the United Kingdom, South Africa and France. 1984 Stein & Co. move into the newly built, modern company premises on Wülfrather Straße. The introduction of the duo carpet cleaning system and the electrostatic microfilter leads to our continued business success. 1985 The production output doubles compared to 1983 figures. 1986 Introduction of the newly designed SEBO 360 series with electronic brush control. 1988 SEBO Stein & Co. have been in business for 10 years. 1991 We move into our new extended facilities with state-of-the-art storage and production technology. Introduction of the sensational SEBO AUTOMATIC X series. SEBO UK starts distribution through electrical appliance retailers, Germany follows the same year. 08.08.1994 On the occasion of Klaus Stein’s birthday, unit No. 1,000,000 is manufactured. 1995 Presentation of the SEBO AIRBELT C cylinder vacuum cleaner for a new market segment. The retail distribution in Australia and Korea begins. 1997 Retail distribution in the U.S. begins. SEBO 370 series is presented to the commercial market. 1998 The company celebrates 20 years of SEBO Stein & Co. Thomas Stein joins the company’s management. The 1,500,000th unit is a SEBO AUTOMATIC X1. 1998 Foundation of SEBO America and start of SEBO retail distribution in the USA. 1999 Foundation of SEBO America and start of SEBO retail distribution in the USA. 2000 Unit No. 2,000,000 is a SEBO AIRBELT C3.1. 2002 Two new product series are presented: SEBO PROFESSIONAL G and SEBO AIRBELT K. Heinz Kaulig retires. Achim Liffers joins the company’s management. 2003 Customers, suppliers and employees celebrate 25 years of Stein & Co.
2004 A new generation of upright vacuum cleaner, called Windsor Flexamatic, is presented at the ISSA trade fair in New Orleans for the first time. 2005 Product launch of SEBO FELIX and SEBO DART. Assembling of the 3.000.0000th SEBO vacuum cleaner. Stein & Co. starts building operation for an annex building with a storage and production area. 2006 The new facility is to be brought into operation. The area of storage and production is redoubled, in order to avoid spatial restrictions and enable future growth. 2007 Product launch of the Ultra High Speed Suction Floor Polisher SEBO DISCO and SEBO DART 3.
combination, in order to maintain and easily polish surfaces without water or dust exposure. 2010 Launch of the new cylinder SEBO AIRBELT D. The SEBO AIRBELT D replaces the SEBO AIRBELT C series. 2011 SEBO Stein & Co. brings out the PROFESSIONAL D. As a global leader in premium uprights for commercial use, SEBO extends its product range with the PROFESSIONAL D as a new innovative and high quality cylinder for professional use. 2012 Relaunch of the established twin-motored uprights. The SEBO BS 36/46 COMFORT and SEBO 370/470 COMFORT provide a new and improved power head,which makes these workhorses more convenient and easier to service. 2014 Launch of the new SEBO EVOLUTION professional upright. After 36 years of company history, it constitutes a succesful synergy between the single and twin-motored series. 2015 Launch of the new cylinder, the SEBO AIRBELT E.